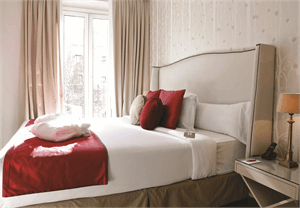 Citadines Barcelona Ramblas is an ideal base for exploring the capital of Catalonia. The hotel is a short stroll from the famous Las Ramblas where you can find shops, restaurants and museums. 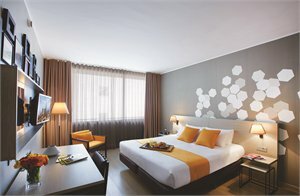 After a good day of sightseeing, relax in your air-conditioned room which has a TV and internet connection to make you feel right at home. NOTE: Room is based on 1 Double Bed. Rates are based on Mon-Thu night stays, surcharge applies for Fri-Sun night for stays 1 Apr - 9 May 19, 12 May - 28 May 19, 2 Jun - 6 Jun 19, 10 Jun - 13 Jun 19, 16 Jun - 18 Jun 19 & 26 Jun - 31 Oct 19. Includes: Return seat in coach transfers from Barcelona Airport to hotel between 6am-11.30pm. 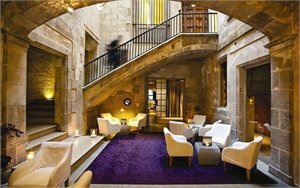 Located in the heart of the Gothic Quarter near Barcelona’s famous Cathedral and only 500 metres from Las Ramblas, this 12th century medieval palace converted in to a boutique hotel offers elegant bedrooms, some with private terraces. NOTE: Room is based on 1 King Zip Bed or 2 Single Beds or 1 King Bed. Discount is already included in the price. Bonus: Save 10% for stays 1 Oct - 31 Oct 19. Let yourself be enchanted by the spirituality of Montserrat, the magic mountain of Catalonia. The Monastery and the beautiful views will captivate you. Spend some time learning the history and creation of Montserrat. This hotel is located in the city of Madrid, a short walk from the Retiro Park and situated between Madrid's two landmarks, La Puerta de Alcala and the Fountain of Cibeles. All elegant and comfortable suites have air-conditioning, kitchen, free Wi-Fi connection. 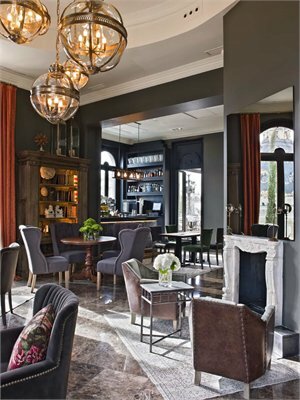 Start your day with a hearty breakfast and come back and relax with a cocktail at the Gin Club Bar. Includes: Return private transfers from Madrid Airport to hotel. Set in the historic city centre on the Gran Via, The Principal Hotel is close to the iconic Salsas neighbourhood with shops and tapas bars and a short walk to the Prado Museum and Royal Palace. Relax at The Wellness Suite which has a sauna and a range of beauty treatments or dine at the elegant rooftop terrace restaurant and cocktail bar. NOTE: Room is based on 1 King Bed or 1 Double Bed. Rates are based on Sun-Thu night stays, surcharge applies for Fri-Sat night for stays 1 Apr - 28 May 19, 3 Jun - 9 Jun 19, 16 Jun - 27 Jul 19, 3 Sep - 27 Sep 19 & 13 Oct - 31 Oct 19. Visit Cordoba to glimpse the impressive Mosque before enjoying the flavours and delights of Seville. See the valley and mountain ranges in Ronda and continue on to Costa del Sol. 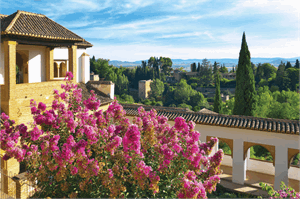 Tour the inspirational Generalife Gardens in Granada and visit historic Toledo. Located 70 kilometres from Madrid is Toledo, one of Europe's oldest cities. Walk through the cobbled streets and enjoy a traditional lunch in a restaurant typical of the region. Go back in time and let yourself be amazed by the Walls of Avila and the aqueduct of Segovia. Two magical cities full of history. Discover the culturally diverse character of Madrid on this panoramic sightseeing bus tour of the city. See Jose Bonaparte's famous architectural works including the Prado Museum. PACKAGE TERMS & CONDITIONS: It is our policy to present the cost of our holidays inclusive of all airport and government charges. Please accept however that these charges are not within our control, therefore we reserve the right to pass on any increase.. Travel agent professional service fees where charged, will be additional to the advertised prices. Closeout and blackout periods apply over school holidays and peak holiday periods & availability of seats & rooms is likely to be very limited over this time . Valid for sales to 31 May 2019. Valid for travel commenced and completed within the period 26 Apr 2019 to 31 Oct 2019 (unless otherwise specified).Land only, airfares additional. Coach and launch transfers are not included unless stated otherwise. Please note there is limited availability on the advertised room types. Twin bedding must be requested if required. City tax per person is not included and is payable direct at the property. Sightseeing/Extended Touring may require minimum numbers to operate. Saving amount is already included in the price, unless specified otherwise. All pricing is subject to change until a reservation is confirmed. A non-refundable deposit may be required at the time of booking, please enquire. Strictly subject to availability for all components. Valid for new bookings only. Not valid for group travel. Offer is subject to availability and blackout dates may apply. Prices shown are based on per person costs in New Zealand Dollars, for payment by cash, cheque or eftpos only. Credit card sales not permitted unless Travel Agent acts as a merchant. Capacity limitations apply and may not be available on all services. Events beyond our control such as currency fluctuations and changes to the price of aviation fuel may result in prices variations . Strict cancellation fees apply. Packages are based on consecutive nights. For split stays please contact your travel consultant. For full terms and conditions and cancellation fees please contact your local travel agent for more information. Trade enquiries via GO Holidays.